Karma Group Founder and Chairman John Spence and Georgina Huljich of P-A-T-T-E-R-N-S tasked 14 masters students from the Department of Architecture and Urban Design at UCLA to design an approximately 40 room hotel for a piece of land in Mykonos, Greece, owned by Karma Group. 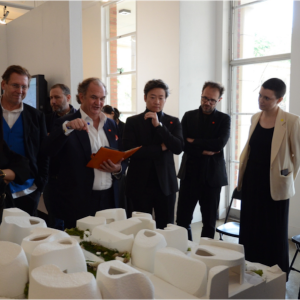 During the course of his Distinguished Visiting Fellowship in the Department of Architecture and Urban Design at UCLA, John worked closely with the students as they developed their ideas, including sponsoring an immersive research trip to Mykonos. The final presentations were made to a panel of industry experts, including John and Georgina and the results were extremely well received. 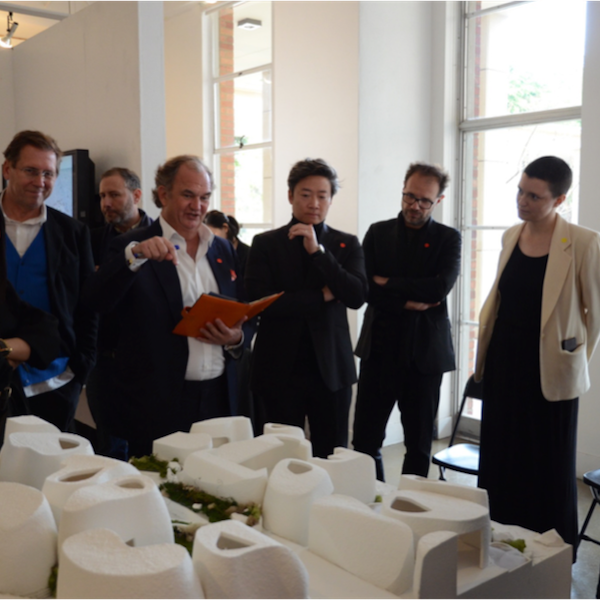 The students were required to present large models of their prospective developments alongside plans and drawings. Karma Group is currently having the work photographed and developed into a book which will be available as part of their Karma Collection. Karma Group has properties all over the world, from the south of France to Bali, the Greek Islands, India and West Australia. A constant hallmark of their properties is their exquisite design and the relevance to the environment that they inhabit – attributes visible in all the designs presented by the students. John Spence’s keen eye for architectural quality has seen his company acquire and build spectacular properties all over the world that perfectly reflect the Karma ethos of offering extraordinary experiences in the world’s most beautiful locations.